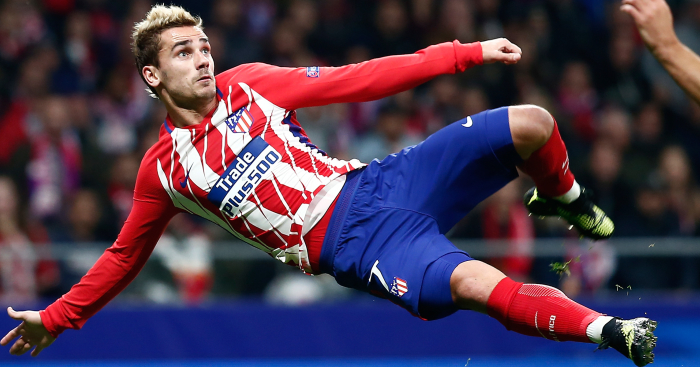 Barcelona are interested in Atletico Madrid forward Antoine Griezmann and seem destined to procure his signature before the summer transfer window closes. However, progress has been slim and latest reports have hinted that the French international could be having cold feet. There’s further reports suggesting both parties could be banned if they’ve been found out to have concluded a contract before his existing deal has six months left. For a transfer that seemed nailed on this summer, what has changed in recent weeks that has put Griezmann’s move to Barcelona in doubt? Confirmation will come before World Cup? In no uncertain terms, Griezmann made it clear that he will clarify his future before the 2018 World Cup in Russia. When asked, he replied: “Yes, it will be done before the competition. The tournament starts on June 15, with France’s first game of the tournament coming a day later against Australia. Having a major international tournament makes negotiations very difficult, so it’s hard to know what Griezmann is discussing with his representative while he’s training with France for their opening outing. The 27-year-old could have made his personal terms clear to his agent, who then relays such information to Barcelona, but surely his focus will be on France and the biggest tournament of his career? It’s presumptuous to say definitively that his future will be resolved in 13 days if he’s relying on Barcelona to finalise a deal with Atletico Madrid, so could a new deal from the Rojiblancos instead be on the cards? Griezmann still has four years left on a contract signed 12 months ago, but Atleti are keen on an extension if it wards off Barcelona interest for another year. Barcelona are putting all their eggs into one basket with Griezmann. They don’t have anyone else lined up if the French international ends up staying at Atletico Madrid. After losing Neymar in a shock £200m deal with Paris Saint-Germain last summer, the Catalans signed Borussia Dortmund forward Ousmane Dembele for £98m, in a panic buy to rival all panic buys. The 21-year-old has flopped in his first season at the Camp Nou, however, scoring just four goals in 24 appearances, so his future is already in doubt. President Josep Bartomeu spoke out about Dembele’s difficult campaign and insisted he still had a long-term future at the club, adding that many players struggle due to the change in playing style, but the decision to keep him is likely down to a lack of suitors. Barcelona will certainly be worried at how much he struggled, but what club will pay £100m for his signature this summer? The club president has put a positive spin on it, but Barca are desperate for stellar attacking talent, especially after Andres Iniesta left the club recently, so they’ve set a two-week deadline on Griezmann too. If they don’t end up signing him, they might have to switch for other targets such as Christian Eriksen (Tottenham). Barca have set themselves up for failure, it seems.